To study the effects of smoking restrictions in Germany on coronary syndromes and their associated costs. All German states implemented laws partially restricting smoking in the public and hospitality sectors between August 2007 and July 2008. We conducted a before-and-after study to examine trends for the hospitalization rate for angina pectoris and acute myocardial infarction (AMI) for an insurance cohort of 3,700,384 individuals 30 years and older. Outcome measures were hospitalization rates for coronary syndromes, and hospitalization costs. Mean age of the cohort was 56 years, and two-thirds were female. Some 2.2 and 1.1% persons were hospitalized for angina pectoris and AMI, respectively, during the study period from January 2004 through December 2008. Law implementation was associated with a 13.3% (95% confidence interval 8.2, 18.4) decline in angina pectoris and an 8.6% (5.0, 12.2) decline in AMI after 1 year. Hospitalization costs also decreased significantly for the two conditions—9.6% (2.5, 16.6) for angina pectoris and 20.1% (16.0, 24.2) for AMI at 1 year following law implementation. Assuming the law caused the observed declines, it prevented 1,880 hospitalizations and saved 7.7 million Euros in costs for this cohort during the year following law implementation. Partial smoking restrictions in Germany were followed by reductions in hospitalization for angina pectoris and AMI, declines that continued through 1 year following these laws and resulted in substantial cost savings. 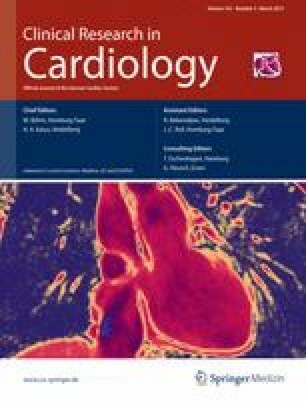 Strengthening the laws could further reduce morbidity and costs from acute coronary syndromes in Germany. Deutsche Angestellten-Krankenkasse (DAK), a German health insurance firm, provided the data for the analysis and some funding to support the data analysis. Dr. Sargent receives funding from the National Institutes of Health (CA 77026).